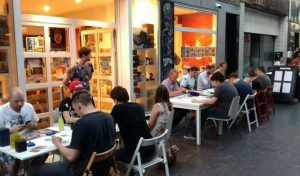 The monthly Gentry leaderboard event is held at the Brainfreeze Coffee & Comics store in Nieuwstraat 13, 9100 Sint-Niklaas, you can find their Facebook page here. Their leaderboard takes place on every fourth Saturday of the month. For a detailed explanation of how to get points and what they do go here. For a detailed explanation of how to get points and what they do go here.